For informal meetings cell 2 provides original prison features and vaulted ceilings. But you’ll feel anything but imprisoned in this room. 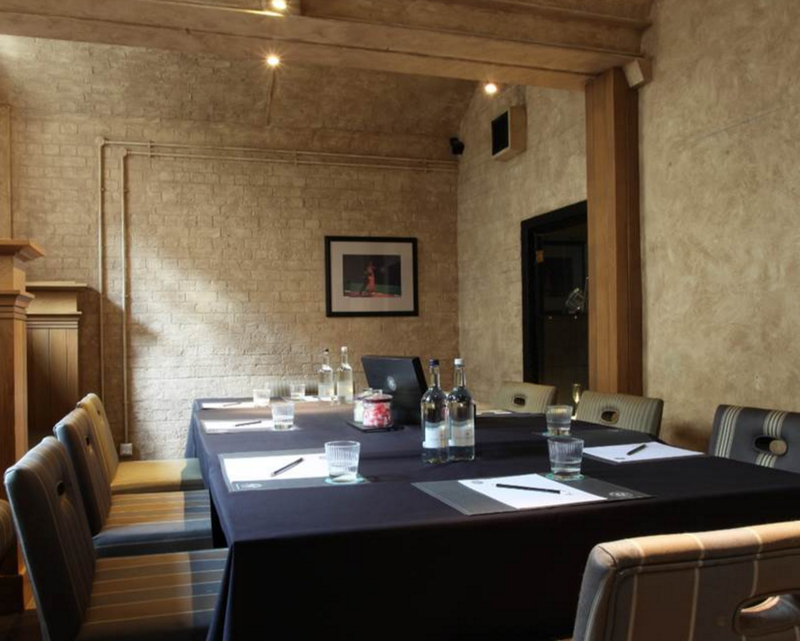 Full of character and history, this is an inspiring place, ideal for getting those creative brains moving and great for casual meetings with an impressive edge. Stay in one of our 95 richly appointed rooms and suites that are packed with some of the best creature comforts that come to mind. Enjoy sumptuous dining in our stylish Brasserie, where fresh, local and classic dishes are cooked to perfection. You'll discover generous portions and our passion for food. Be sure to stop by our neon-lit bar, where the only clink is the sound of glasses as you raise a toast with our cunning cocktails, world-class wines or cold, refreshing beers. Just five minutes from the bars, restaurants and museums in town, this is without a doubt one of the most unique and thrilling hotels in Oxford city centre. So who wants to escape? It would be a crime not to.